Learn to create a fun, sassy pair of wire wrapped earrings with this tutorial from Wynter Creations! 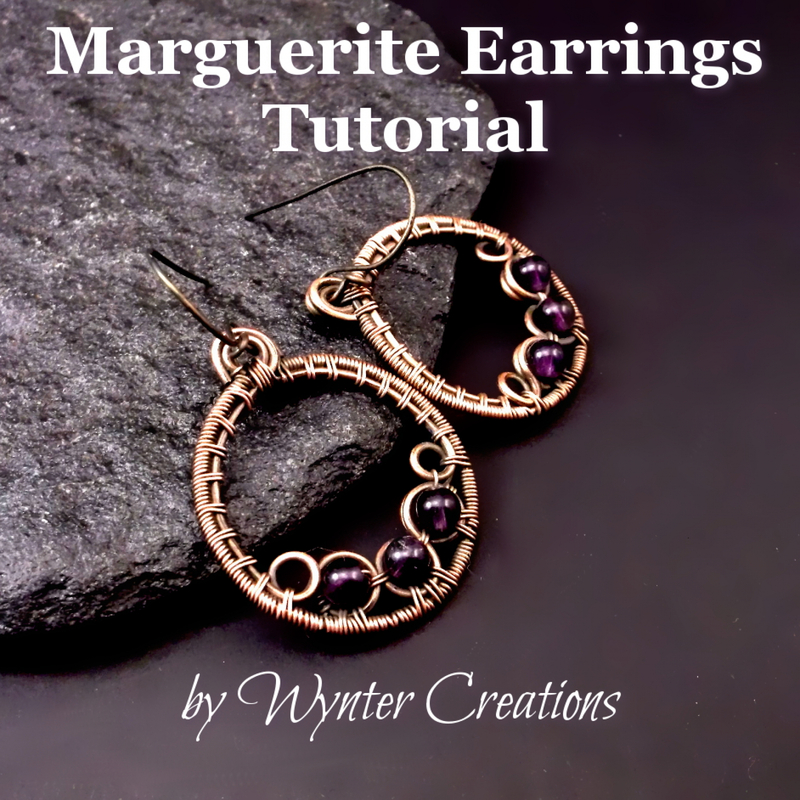 These instructions include a number of useful jewelry making skills, including basic wrapping and coiling, creating frames and shaping filigree-style forms. This is an ideal project for the advanced beginner (someone who's had some wire work experience but would like to learn more), but is suitable for someone just starting out as well. With 22 pages and over 55 high-quality photos, the instructions follow the design from start to finish, and create a pair of hoop earrings approximately 2.5 to 3 cm in diameter.